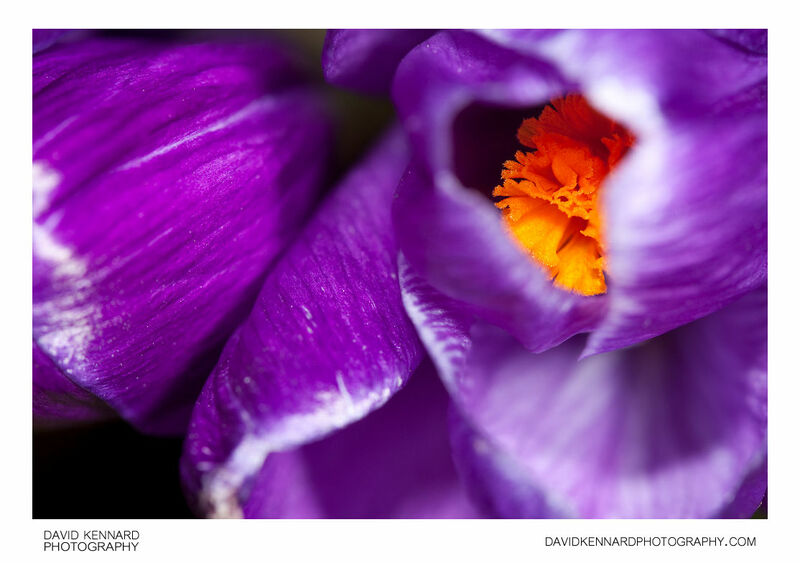 Close-up of a purple spring flowering Crocus. Crocuses grow in a wide range of habitats, including woodland, scrub and meadows. There are around 80 different species of Crocus, around 30 of which are cultivated. Crocuses are commonly planted in gardens and parks as one of the first plants to flower in Spring. A waxy cuticle (outer covering) protects Crocuses from any late Spring frosts and snowfall.